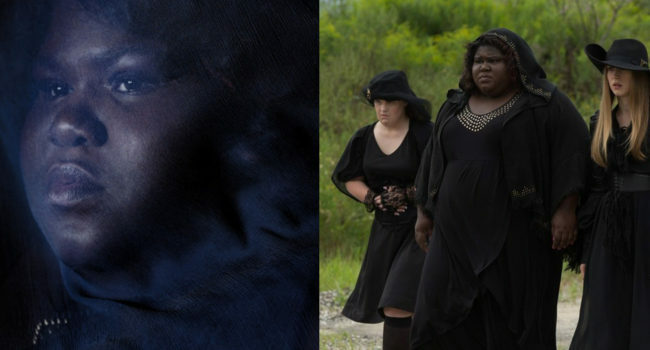 The resident Stevie Nicks fanatic of AHS: Coven’s group of witches, Misty Day (Lily Rabe) was a contender for the title of Supreme alongside Madison, Queenie, and Zoe. With the ability of resurgence, Misty was able to bring back souls from the dead – including her own, after being burned at the stake. Compared to the other young witches in Coven, Misty’s style is unique in its bohemian and slightly more colorful quality. In American Horror Story: Coven, Fiona Goode (Jessica Lange) was the Supreme of the Salem witch descendants. Her daughter, Cordelia, would later become the next Supreme and awaken the depth of her powers before her mother’s death. In the search for the next Supreme, Fiona acted somewhat as a mentor for a group of young witches, including Zoe Benson, Queenie, Madison Montgomery, and Misty Day. Like many of the characters in this series, Fiona was often appearing in all-black ensembles. In the TV series American Horror Story: Coven, Misty Day (Lily Rabe) is a hippie witch, wandering the New Orleans swamps while listening to Stevie Nicks. She has the incredible power of Resurgence, or bringing things back from the dead. After her community shunned her as a necromancer, she fled to the swamps before arriving at Miss Robichaux’s Academy. She dresses in long, flowing, boho clothing with heaps of jewelry. Scathach (Lady Gaga) is an immortal Druid witch with immense powers and a tragic past haunting her homeland of Roanoke on the TV show American Horror Story: Roanoke. She is the origin of The Butcher’s power and craves blood, chaos and death. She also craves the company of a man, and falls in love with Matt Miller when he moves into the haunted Roanoke house. She wears Druidic clothing with a skull crown and sacrificial blade at her waist. 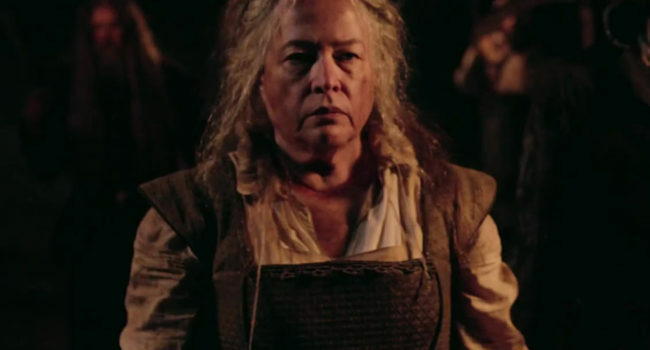 A survivor of the infamous Butcher, Shelby Miller (Lily Rabe) is the main subject of a TV reenactment of her and her husband’s terrifying story on the latest installment of American Horror Story: Roanoke. The ensuing publicity and fallout from the documentary cause the breakdown of her marriage, and in hopes of rekindling it she agrees to a second TV special back at the haunted house. Unfortunately, The Butcher and her minions await their arrival. Shelby is a bit of a hippie and very laid back, dressing in loose tops and sweaters with tight jeans and monogrammed necklaces of S and M for Shelby and Matt.